Tired of struggling to clean up watery messes on your home’s floors and dealing with the damage they cause? Skip the hassle – instead, upgrade to waterproof flooring in Meadville, PA, available now throughout our expansive showroom. We carry many different flooring products, each designed to guard your subfloor against harmful water damage and look great through all kinds of conditions. Take your pick of materials and enjoy your home to the fullest, without worrying about mold or mildew. Our showroom displays a full variety of waterproof carpet and hard surface flooring, home remodeling supplies, and other types of flooring, so stop by and peruse our selection today. In addition, we offer free design consultations, expert assistance from knowledgeable professionals, professional waterproof flooring installation, and industry-best guarantees and warranties on our products. 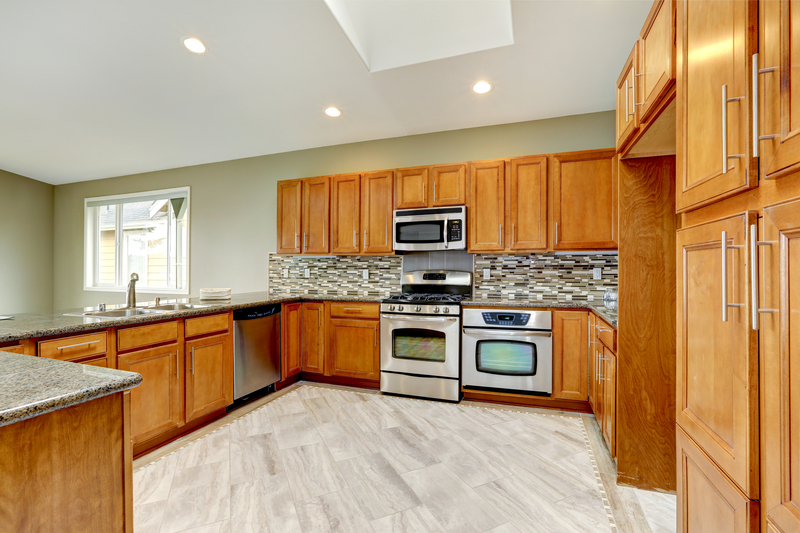 Stop by today to discuss your project with our friendly staff and find the perfect flooring to complete your home remodeling or renovation project. While the main benefit of waterproof floors is clearly the fact that they resist water damage and protect your subfloor from water, there are many other reasons to install them in your home or business. Because they were made to stand up to the powerful and damaging effects of water, they’re also incredibly durable in general and stand up well to high levels of foot traffic, rambunctious children and pets, and spills. Waterproof carpet, vinyl, or laminate flooring is ideal for any environment and is available in virtually any color, pattern, or texture imaginable. Our staff can help you find the perfect style to suit your needs. Waterproof Vinyl Flooring: Vinyl is quickly becoming the flooring material of choice for homeowners that value flexibility. It comes in a variety of colors and textures that imitate the appearance of “natural” flooring materials, like wood and stone. Best of all, now you can find vinyl products that are waterproof as well as beautiful in our showroom. Waterproof Carpet Flooring: You don’t have to sacrifice comfort to get the peace of mind you need. Now, you can bring home carpet flooring with amazing waterproof properties. Put it in your bedrooms, your living room, your dining room, or anywhere else that could use extra comfort – you’ll never have to worry about damage from sudden spills and other moisture accidents. Waterproof Laminate Flooring: Affordability meets efficiency when you choose laminate flooring with water-repelling capabilities. For years, laminate has remained one of the most widespread and cost-effective flooring options in the country. Now, thanks to advances in the manufacturing process, laminate comes in waterproof varieties, which means it does double duty in terms of cost and durability. Investing in waterproof floors is an excellent idea, both for your home’s overall value and your peace of mind. Make another smart decision by choosing professional installation, available now through our locally trusted flooring showroom. Once you’ve chosen the flooring product that’s right for your home and your budget, it’s well worth your time to bring aboard our experienced contractors, who know their way around many different flooring materials. Our team arrives with all the tools and equipment they need to install your waterproof floors to your satisfaction. It’s especially important to enlist professional assistance with waterproof flooring installation because there’s a lot that can go wrong during the installation process. Waterproof floors require an expert touch – otherwise, they may not perform as expected. Don’t take that chance – instead, recruit our capable team and leave the hard work of installation to contractors with years of experience. When it comes to investing in the quality and style of your home, it’s important to protect your investment. Our flooring showroom provides a full selection of industry-best guarantees and warranties on various products. Our four and five-star-rated floors come with a Confidence Plus Warranty. If you don’t love your floors after living on them for 30 days, we’ll replace them and even pay for the labor. All our floors are covered by our Lifetime Installation and Price Protection Guarantees. If you experience any waterproof flooring installation-related issues with any flooring installed by our contractors, we’ll make it right at no cost to you. In addition, if you discover the same brand and model of flooring at a lower price at one of our competitors’ stores, we’ll refund you the difference. Our guarantees are here to help you feel completely confident in your choice and place additional value on our already great quality flooring products.